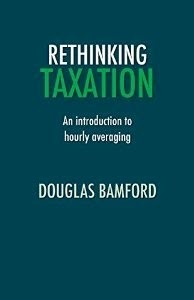 Douglas Bamford's Tax Appeal: What is the purpose of taxation? In order to determine what taxes should—and should not—be levied we need to know what the purpose of taxation is. A simple answer is that taxation is to raise revenues for the government. However, while this is true, it is an inadequate answer. In my PhD thesis and in a section of my forthcoming book, Rethinking taxation, I provide a fuller answer to this question, which I will summarise here. The primary aim of taxation is to secure distributive justice. Taxation has a crucial role to play in ensuring that the main institutions society are constituted in a way that is fair to all members. Some aspects of the state are important for all, such as having a stable and prosperous society (political system, criminal justice system, regulation of markets, provision of public goods etc.). A certain amount of taxation revenue is therefore needed to provide the fundamental responsibilities of the state and its government, but the state will need more than this baseline amount. A market capitalist society is the only one that can reliably provide stability, prosperity, and a degree of personal freedom. However, markets do not distribute in a way that is fair to all. Some people do very well as they have rare and valuable talents, while others find it difficult to find work at all. Some people are fortunate with their investments while others have bad luck due to unforeseeable circumstances. Markets tend to reinforce this process, making it easy to turn good economic fortune into further economic fortune. Some people get in a position whereby they own the property that earns easy rents. The taxation system overall should do something in response to these forms of economic fortune. This is achieved by taxing the more economically fortunate (or the things from which the more economically fortunate will gain an income) at a higher rate and subsidising or supporting the less economically fortunate in so far as this is possible. This is complicated by the fact that taxes have economic effects, which can undermine redistribution. If tax policies undermine economic prosperity then pretty much everyone loses out. The incidence of taxes and the economic effects of the tax system therefore have to be carefully considered. Even if we deny that economic efficiency is itself the primary aim of taxation, economic analysis is still very important. Taxes are needed to provide revenue to the state. These enable the state to function, but also provide funds for redistributive purposes. Unfortunately, it is not always easy to anticipate the consequences of taxation, and therefore consideration of the economic consequences of policies are of paramount importance. A common approach to taxation by economists in recent years is to assume that taxation should produce minimal economic distortion. For example, see the Mirrlees Review. However, there is no value to the free-market outcome that means its outcome should be preserved for its own sake. The strange hybrid between libertarianism (against state intervention) and utilitarianism is highly regrettable: both are discredited approaches to distributive justice. Surely the primary purpose of taxation should be to pay the expenses of government? One then needs to define the duties of government, from which the duties of the citizen arise reciprocally. I hope you will discuss this in future postings. Both the libertarians and the successors to the socialists seem to have ideas on the subject which need to be challenged. Does government need to run, for example, a national monopoly chain of stores selling an astonishing range of alcoholic beverages? We have taxation to ensure a fair distribution of the factors of production. If there was fair distribution, and the State needed to raise revenues, a Poll Tax would be the only morally/economically justifiable way of do so. Unless the value derived from natural resources is equally shared, we will have excessive inequality and economic dysfunction. Taxing output and re-distributive spending is an inefficient, costly, and ineffective way of going about addressing this unequal distribution of Land values. It suits both the Conservative who seek to protect privilege and inequality, and the Socialists as it inevitably leads to a large and overweening State. The Socialists and Tories basically agree on maintaining the status quo. Those who advocate an end to neo-feudalism, often mistaken for Capitalism, are a tiny, tiny minority. On Land Value Tax (LVT), Part 1.